Firefly Ridge is a breath of fresh air both literally and figuratively. 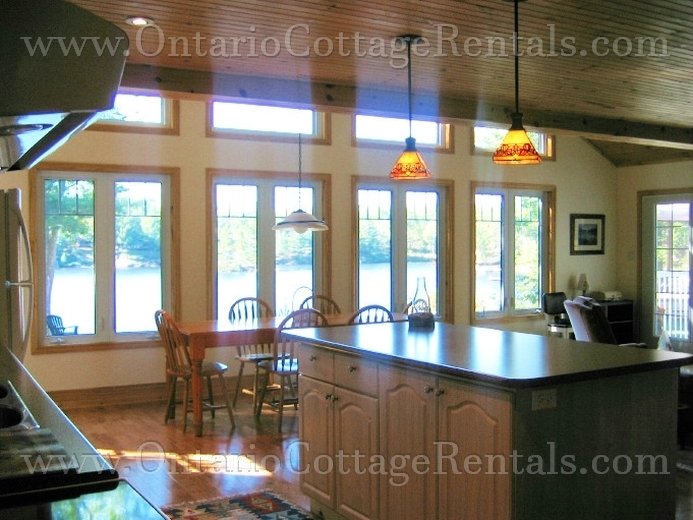 This modern cottage features knotty pine cathedral ceilings in many of the rooms, spacious open-concept living, kitchen and dining areas, and lots of windows to take in the beautiful view of Riley Lake. An open kitchen with a large island and wood floors throughout add to this comfort. There is a queen bed in each of the two bedrooms and the third bedroom has a bunk bed with a double on the bottom and single on top. 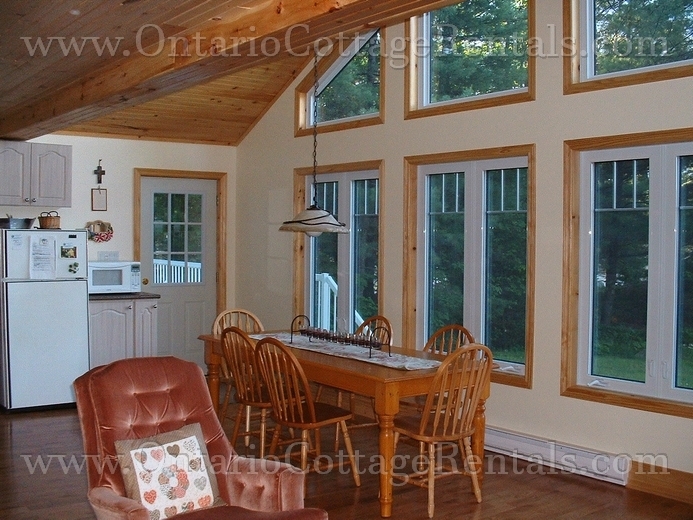 A combination of natural growth, Muskoka rock, tall trees and shrubs make this place a true haven. 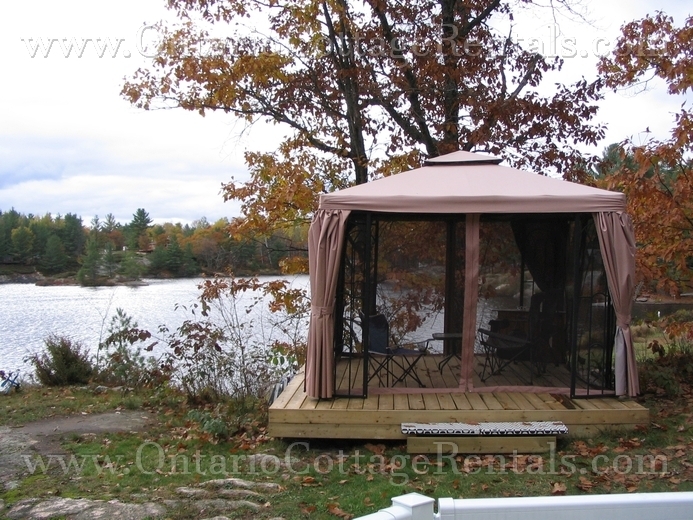 A screened-in gazebo invites you to relax outdoors any time of the day. Two new cedar decks provide the best of sun or shade. You will discover the tranquility offered here over a morning cup of coffee sitting on the ridge overlooking this quiet lake. 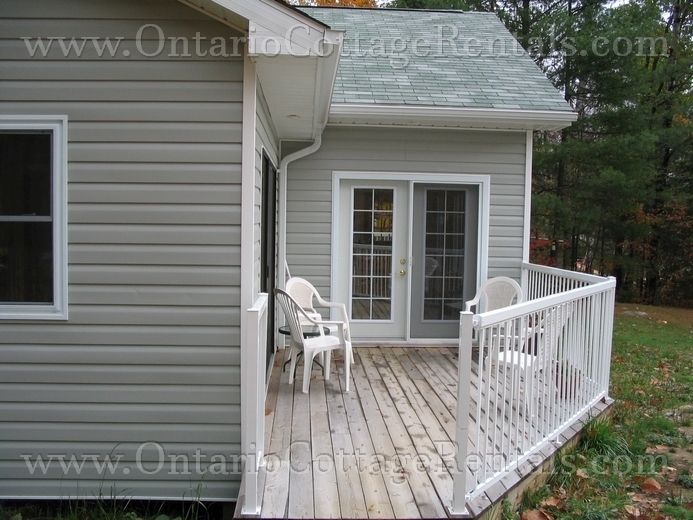 Another aspect of this cottage that make it very desirable are that you can drive on a paved road right to the laneway of the cottage. 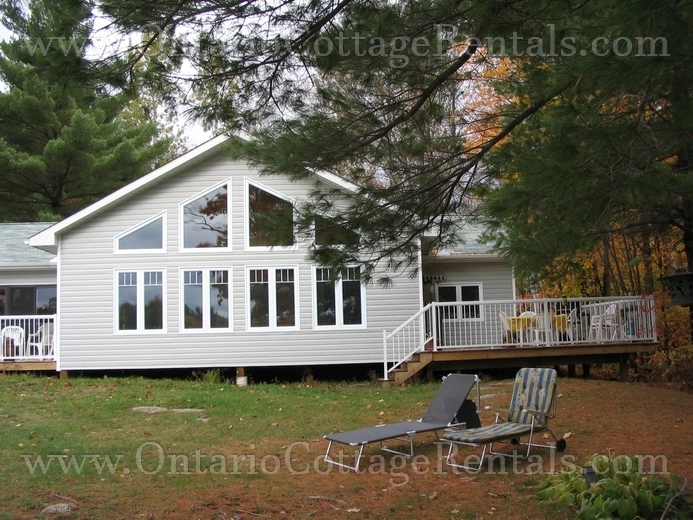 Riley is an interesting lake to explore with many coves, inlets and islands. Fish for bass off the dock where your line reaches out to the fisherman’s dream spot! 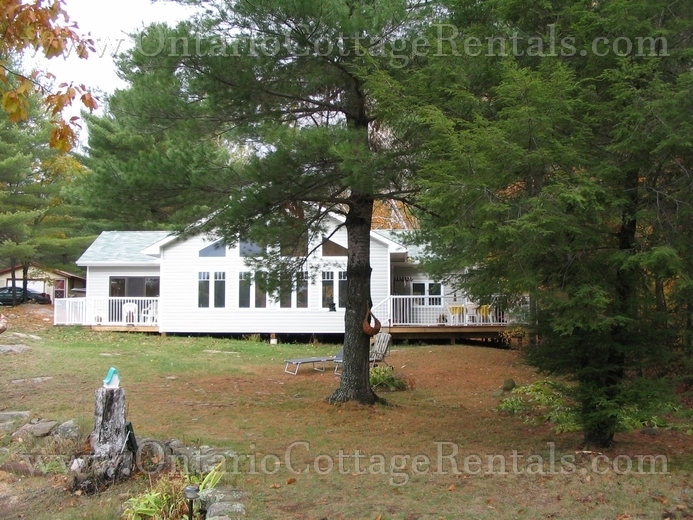 Wade into the shallow water from the small sandy beach or jump from the rocks into the deep part of this waterfront property. Listen to the loons in the morning. Watch the fireflies in the evening. Relax and enjoy just one more part of the Muskoka’s. 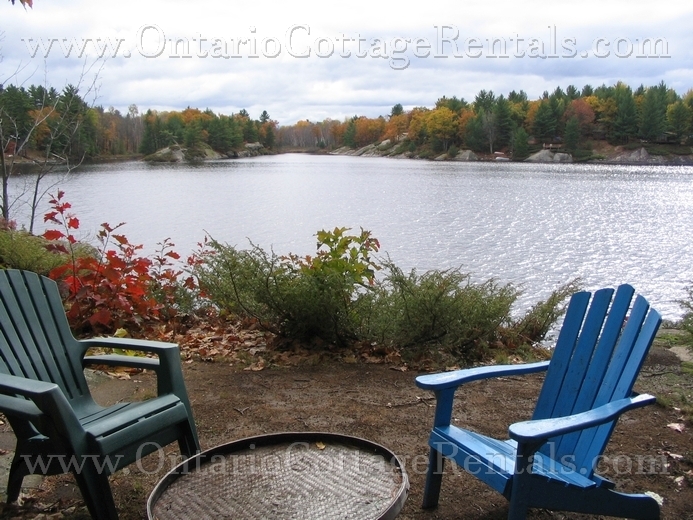 Gravenhurst and area have a lot to offer. 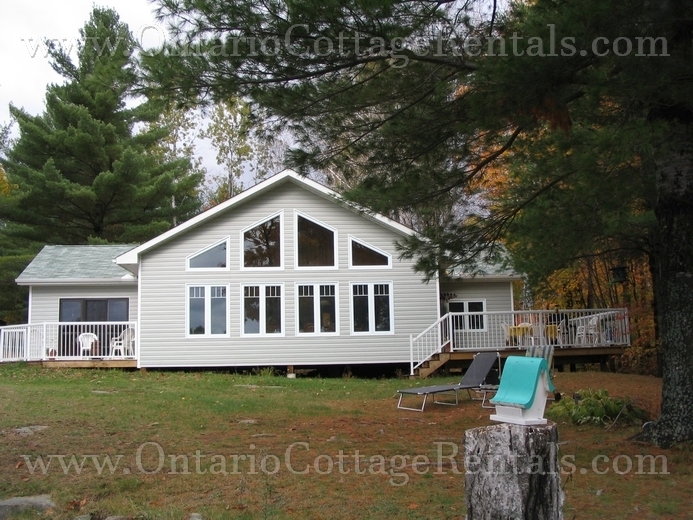 You might like to visit Bethune House, or take in a performance at the Gravenhurst Opera House, shop at the Farmer’s Market on Wednesday, dine at any of the fine restaurants, or golf at nearby courses. The new Muskoka Wharf area has docking facilities, restaurants and shopping. From the wharf, you can take a cruise of the lakes on the historical Segwun steamship. $1,305 per week during off-season.